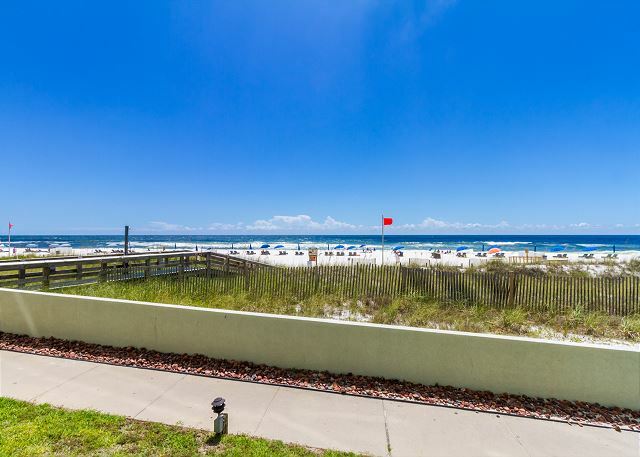 This beautiful Gulf-Front condo is located in the Heart of Orange Beach & close to all the popular spots in the area. 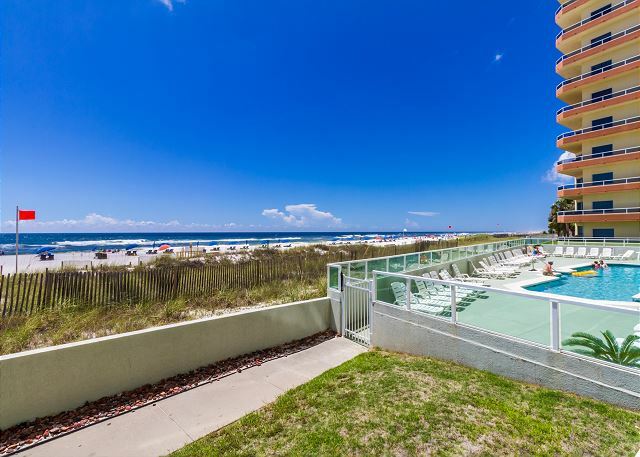 This condo is the perfect beach getaway for the entire family. 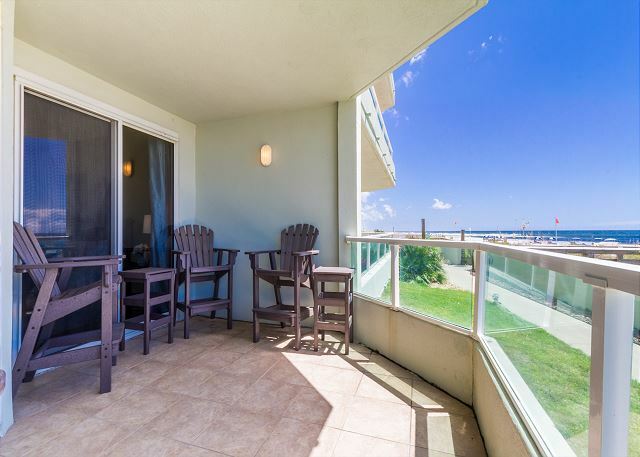 It has a fully stocked kitchen, stunning beach views, balcony access from master and living area, on the 1st floor with no elevator waiting time, & much more! We stayed 6 weeks and thoroughly enjoyed the space. The weather was warmer than usual and time on the balcony or beach was the best. It's convenient to many shops and dining. Our rental was clean and decorated nicely. It accommodates our group of six perfectly. 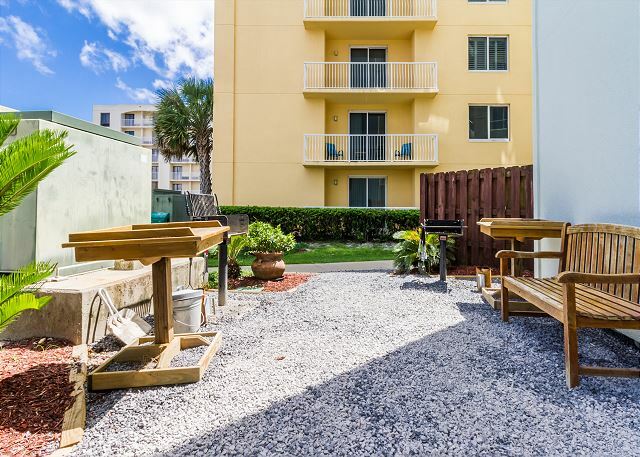 The location of the condo was ideal being right on the beach. We would definitely stay there again in the future. 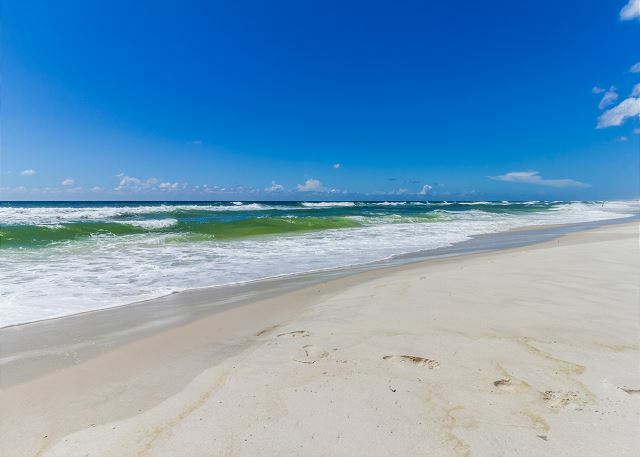 Wonderful Condo directly on Orange Beach! We had a wonderful stay in this condo. It had everything we were wanting! Beautiful view from the patio. Easy access to the pool and beach! Convenient to reataurants and shopping. Couldn't have asked for anything better! 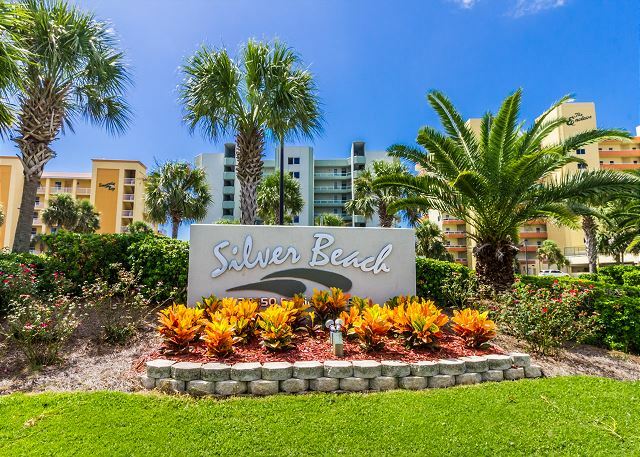 My friend and I had a very wonderful experience staying at Silver Beach, simply FUN! We are planning on trying to obtain the same place again next year and hopefully every year for eternity! Thank you for the homey experience. We had a great experience overall. 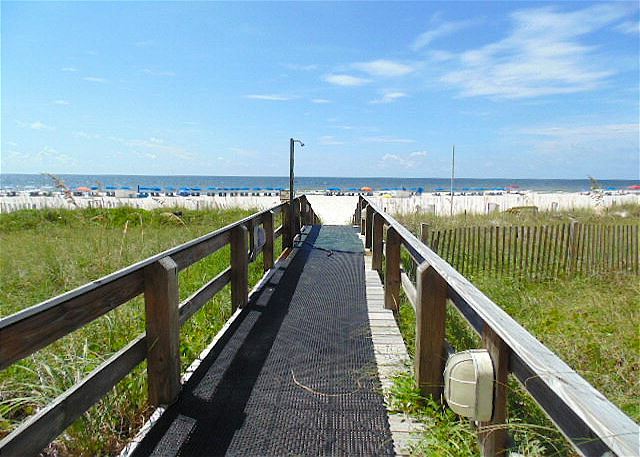 Definitely a nice condo with outstanding beach view and access. The condo is very nice, clean, and up to date. The ground floor balcony is awesome! It is a good size and overlooks the beach. We enjoyed just sitting out there at night and soak in the sounds of the waves crashing against the beach. The pool is very nice. As others have posted in reviews, the foot traffic outside is a bit loud at times, but that's to be expected, since it's on the ground floor. Trust me, it's not so much that you can't stand it. I would recommend this condo for a family of four. Unit was very nice. Located on the main level therefore maintenance noise was loud & distracting.